Many people in your life may think they’re an expert in real estate. Maybe they enjoy looking at listings online in your area, or maybe they’re obsessed with popular real estate realty television shows. Perhaps they sold a home several years ago and want to share their lessons learned with you. What you learn from others about selling your home could be valuable information, but you may also be hearing popular myths that, if believed, could hurt your chances of selling your home for its highest potential price. Get this idea out of your head right now. Your real estate research and personal experience does not set the asking price for your home. Your experienced Blue Ridge real estate agent will determine the price of your home, which will be listed based on the current market, the home’s location, the amenities it offers, and its size. This can actually be the opposite of the truth. When you overprice a home, you’re shrinking the pool of buyers who see your listing when they shop online, and you make buyer’s agents wary of working with you and your agent because they’ll know the asking price is too high compared to other sales in your area for similar properties. Again, this can often be the reverse of what actually happens. If your agent has a lower commission, he or she also has a smaller marketing budget and is reaching fewer buyers. Seller’s agents with commissions much lower than the standard rate (likely to lure in more home sellers) may also lack experience in how to negotiate the price of your home. The perfect window to sell your home is within the first 3-4 weeks. Homes that are on the market for too long may make others curious as to what was “wrong” with the house. People start to assume that there’s a specific reason others have stayed away. Marketing is strategic, and when done properly, will create buzz around your home within the ideal window. This is also a Blue Ridge real estate myth! For buyers who’ve been actively searching for homes in your area, a quick offer usually means that the buyer sees the competitive and attractive pricing that’s exactly in the right range for the size and location of your home, and they know other buyers will also be interested in the property. First, see #2 in this list. Then you need to realize that in actuality, Blue Ridge home buyers are more likely to pass over your house altogether than try to negotiate the price down. On top of that, if a buyer or agent is using an online tool to search for homes and your price is out of the search range, you’re losing all of that potential interest. If you get multiple opinions on how to price your property (which you should do), you shouldn’t choose the agent who named the highest listing price just because it was the highest. If a seller’s agent is pricing the home significantly higher than what you’ve heard from other agents or seen in your own research, he or she is likely just trying to get your interest and is likely a less experienced and less qualified agent. Looking online for home pricing estimates is a good starting point, but it should absolutely not be your only source (or considered to be reliable). Online pricing estimates can give you the wrong impression about proper price range for your home, and having the wrong expectations can set you up for a disappointing listing. Having a professional real estate agent working on the marketing plan — and vetting buyers — for your home is not a simple feat. Aside from being a much more time-consuming and challenging that you previously though it to be, statistics show that people who choose for sale by owner wind up selling their home for 15-20% less than what it would have sold for under an agent. Your biggest goal, along with your Blue Ridge real estate agent, is to make a buyer feel emotionally connected to your house. In order to do that, buyers should be able to imagine themselves in your home, and that requires some cleaning, organizing, light staging, and preparation. You might be surprised to learn that open houses very rarely sell the home. Rather, it’s much better to work with a trusted Blue Ridge real estate agent to develop a specific marketing plan that will reach potential buyers however they want to shop for homes. Myth! Just because your home is an attractive size and located in a sought-after part of town, the sale will still take effort and strategic marketing plan. Don’t assume that your home isn’t in need of a proper sale plan crafted by an Blue Ridge real estate agent. The summer months are more popular nationwide, but in Blue Ridge, the best time to sell your home is whenever it’s best for you — year round. Don’t hold back or put off the start of your home selling journey because of this myth. Advertising nationally or in digital media markets targeted to out-of-state audiences will limit the amount of exposure your home receives within your pool of potential buyers. Rebranding your property just to raise the asking price will not help your home sell any faster and can actually hurt a local sale. This is just not true. Yes, improvements made will help your home become more attractive to buyers, but just because you spent $10,000 on an improvement project does not mean the asking price automatically gets to go up by $10,000. 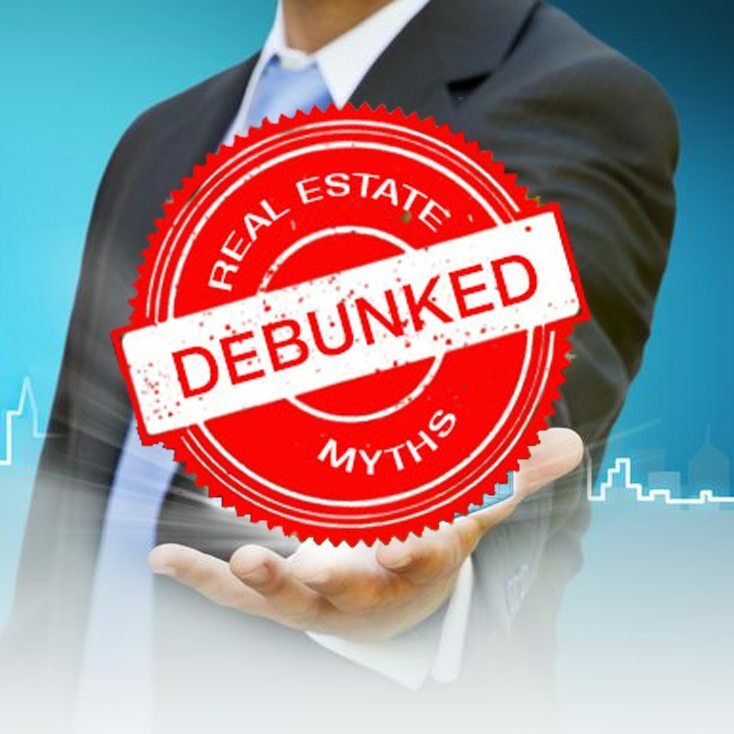 When it comes to learning how to best sell your home, and who is looking to buy a home in Blue Ridge, do your research and work with an expert in the field (so you don’t lose money by listening to these popular myths)!